Construction projects face indefinite changes and unforeseen circumstances before the completion of the project. These occurrences become reasons of creating an order form that will change stipulations on the initial agreement regarding materials, project cost, and plan changes. 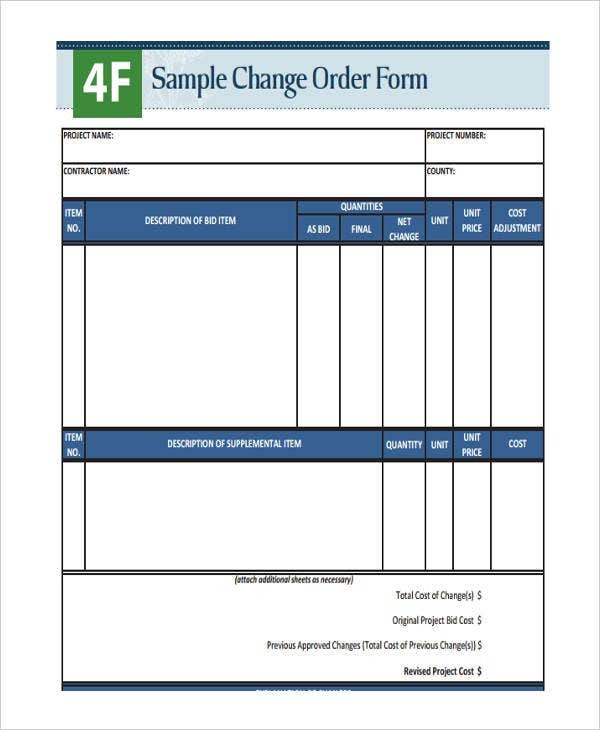 A change order form unlike a wholesale order form does not contain list of products. Rather, it contains statements of project conditions entailing the need of change in the provisions of the initial agreement between the contracting parties. 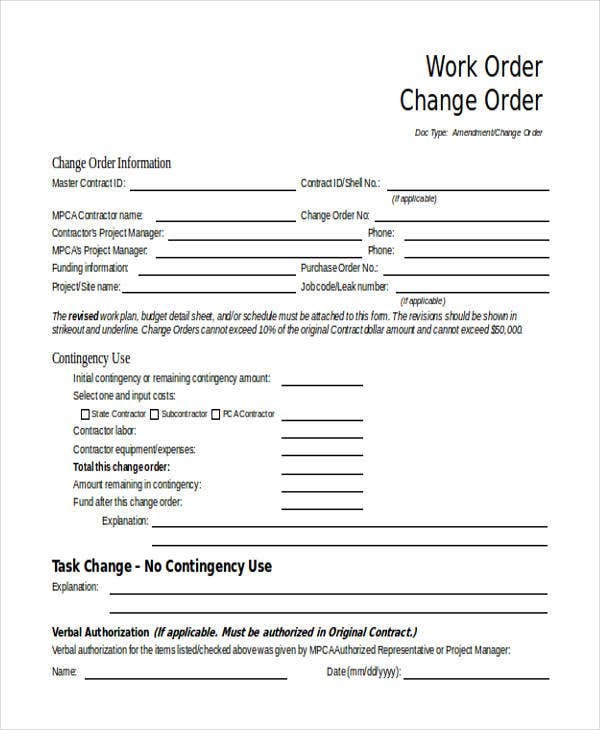 Look into the following change order form in Word and in PDF format to know the contents on change order forms applicable to construction projects. 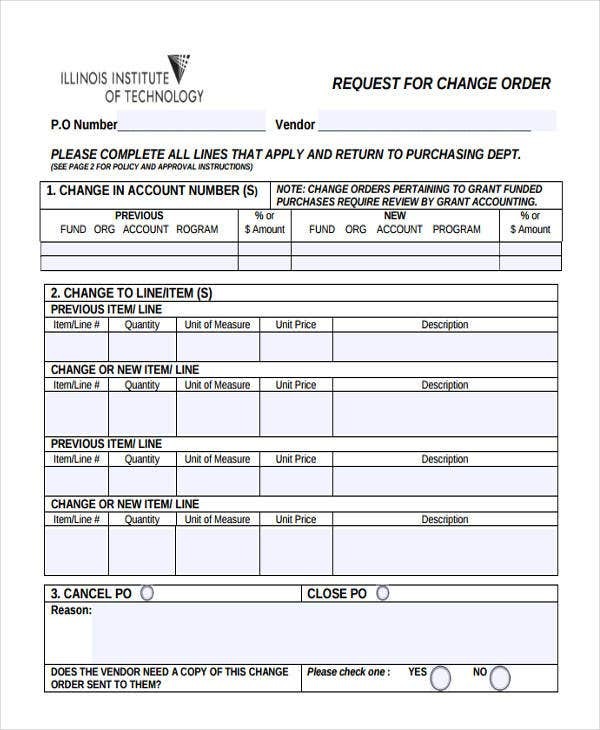 What Is a Change Order Form? 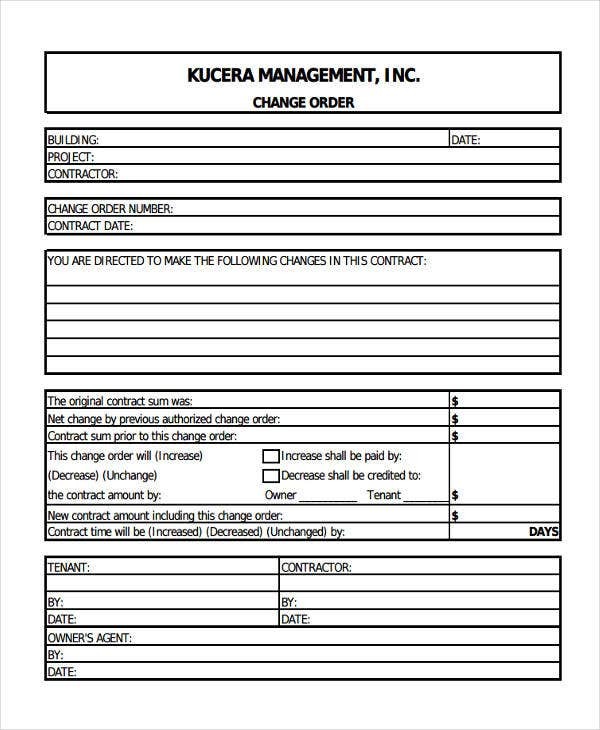 A change order form is a request under the simple order form category of this website pertaining to a project owner’s change in the statements on the initial agreement with the contractor. 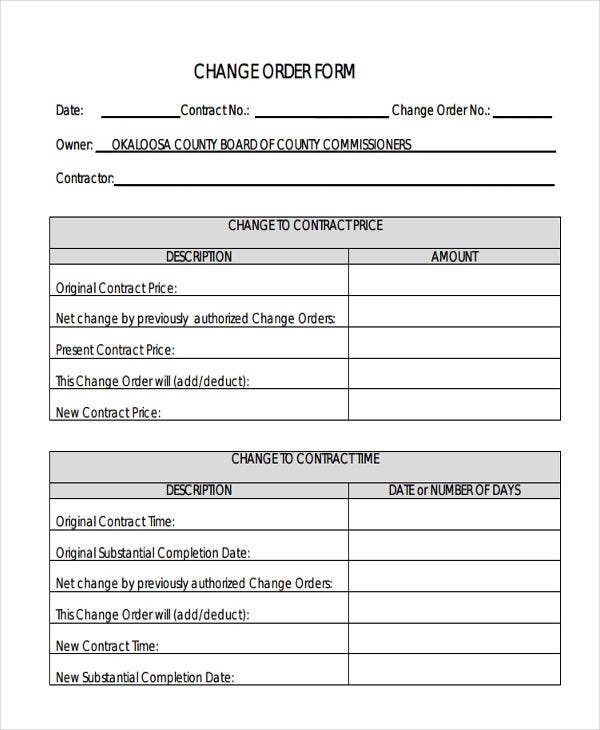 This change order only applies if there is a stipulation on the contract for the project owner to have the right to execute changes in the agreement. 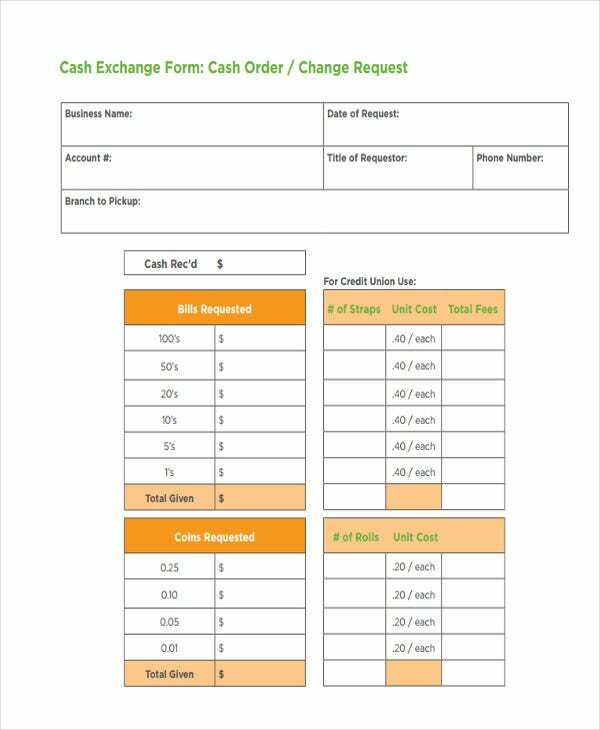 Examples on this website regarding this order form are provided on the blank order form templates. Error in the project’s estimation – At the conception of the project, an estimate is provided in consideration to the market prices on materials and labor which changes over time requiring the need of a change order. Unforeseen circumstances – In every project, there are uncontrollable situations adding obstacles to the workers which will entail changes in the original agreement. Need for additional funds – When a business is in need of additional materials like package ones, Package Order Forms are used to request more package materials from the supplier. In the same way, a change order form is a tool to request additional project funds to add to the achievement of the client’s demands in completing the project. Once you notice potential change orders at the start of the project, report these changes immediately to avoid complications on the project in the near future. 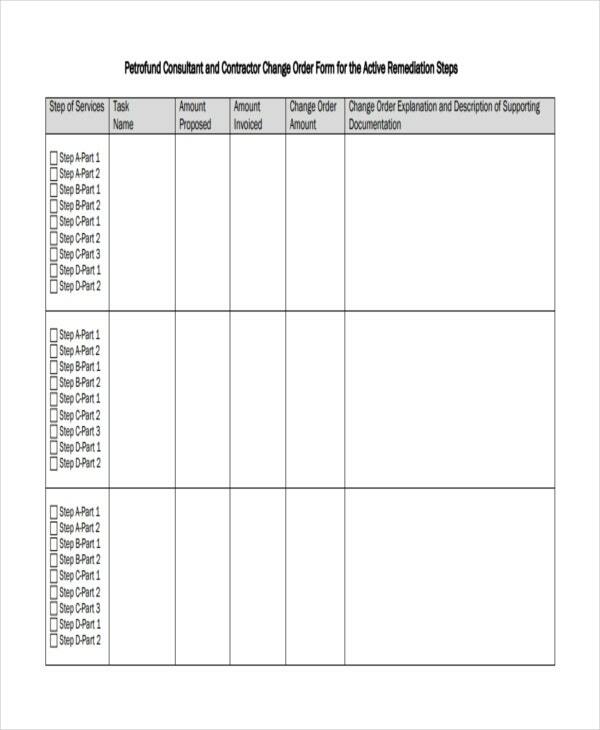 You can use change order templates from the free order forms to cater to the standard changes of your project which will save you time and resources. 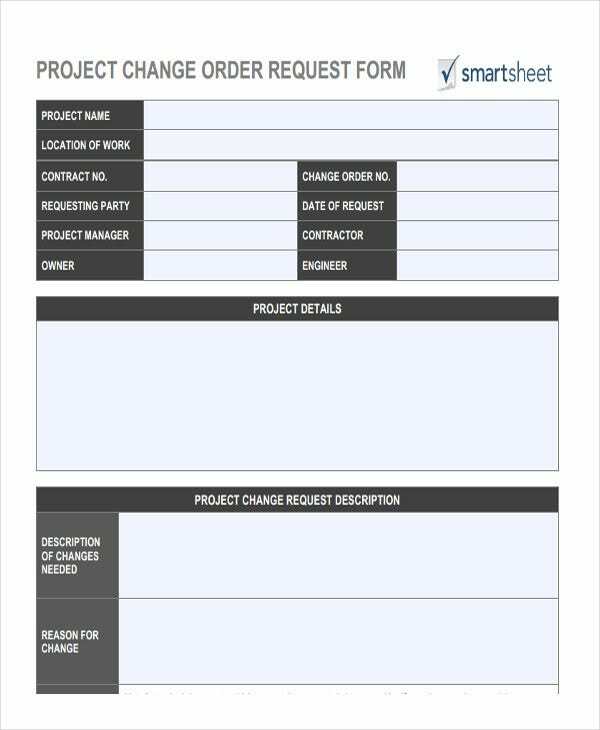 If you have the resources to buy a project software, then do so in order to effectively address change orders similar to how a requisition form template is used for immediate requisitions. 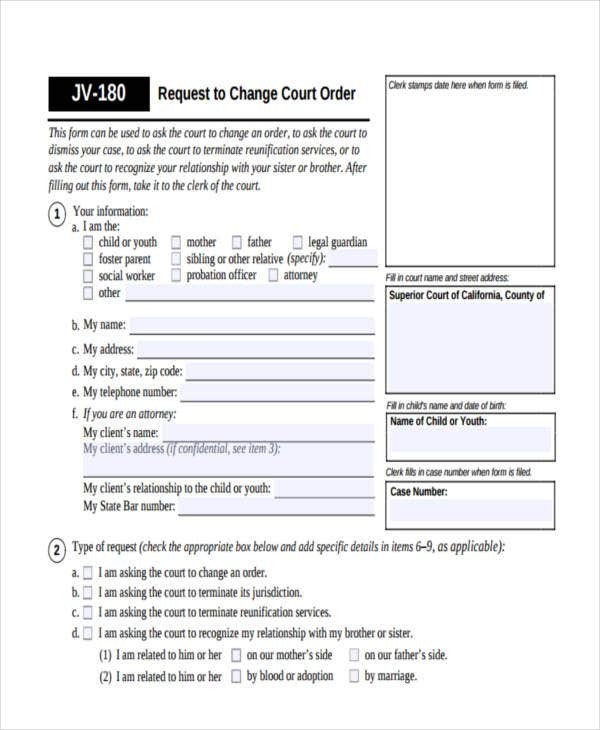 To have evidence on the project conditions requiring the need of change orders, take photos as a supplementary document to the change order form to be forwarded. Aside from observing project conditions, you must also be able to understand the relationship between change orders and revenue in line with it. 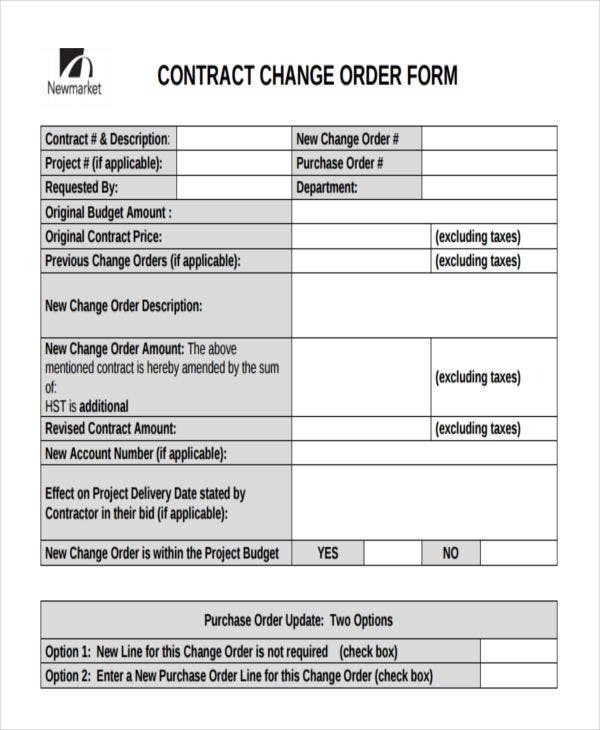 These change order form templates in Word and in PDF format can be your reference when you need to procure a change order for your construction project.